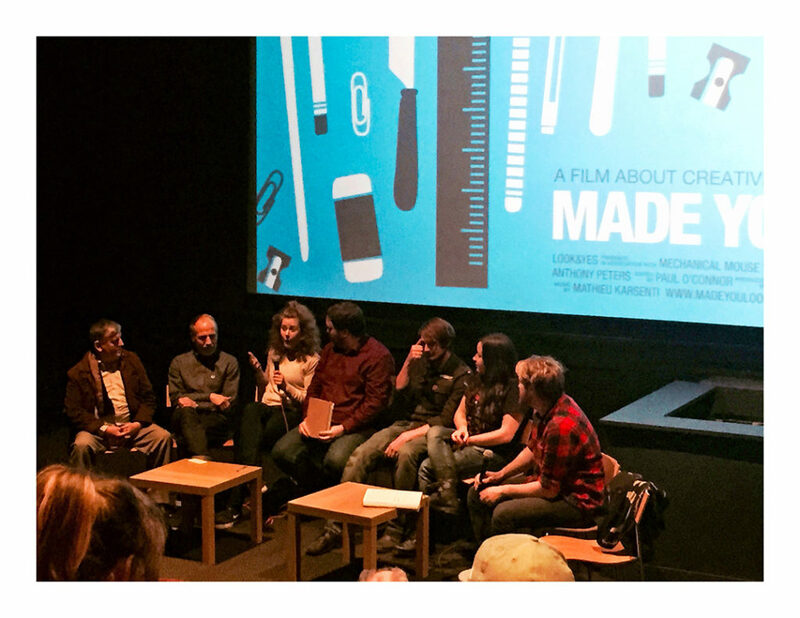 This time last week, we came back to our studio that was full of debate (more than usual anyway), this was because I was involved in helping to organise a screening of ‘Made You Look’; a documentary highlighting the current UK Graphic Arts scene. The film was screened via Our Screen at FACT cinema in Liverpool, after a push from Emily Salinas, IIan Sheady and myself. 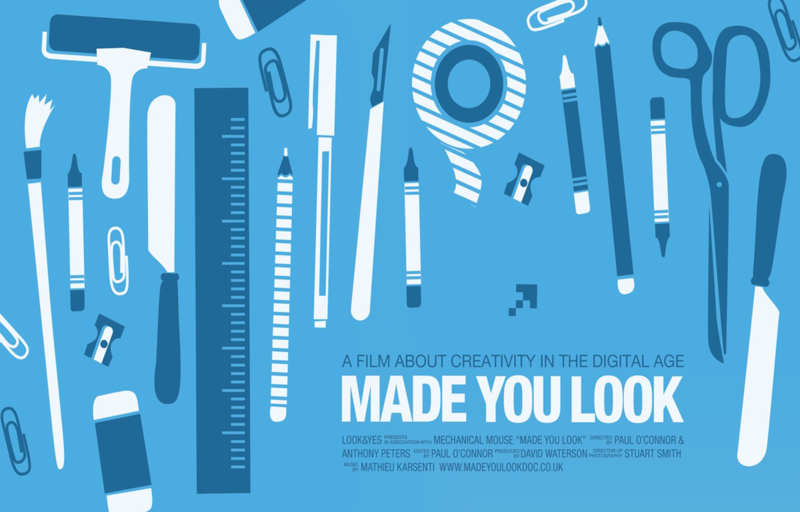 It was through this promotion that the producers from Look & Yes got in touch and asked if we would like to organise a Q&A after the screening of the film. We jumped at the chance to get more involved and between us organised a panel that consisted of creative talent from around Liverpool: Ken Bullock (Sign Writer), Ian Mitchell (LJMU), Gemma Germains (Well Made Studio), Mike Snowdon (Draw & Code), Abigail Sinclair (The Print Social), Craig Robson (Daggers for Teeth) and Alex Smith (The Critter Shed). Ilan and I helped host the Q&A by asking this all-star cast questions regarding their trade and their thoughts on the film. The discussion kicked off with the panels view of the film, which was headed up by Gemma’s honest and frank opinion that the film did not address some issues that the title proposed it would, which swiftly moved to Ken’s confusion with the generally negative stand point that the film portrayed of the internet. We then floated around this point for a while, discussing each panelists view point on the way the internet affects their creative work, which was for the majority, positively unlike the opinions in the documentary. Other questions stemmed from this, bringing up the ‘grey cloud’ that is the ‘free’ work situation in the industry as a whole, which got the panel heated up. The panel only had an hour to discuss all this with the audience and with such big characters, this time flew by. It didn’t end there though as people stuck around all night discussing their opinions on the film, their frustration and joy within the industry and meeting other creatives they otherwise may not get the chance to meet. This was an amazing thing to witness and be involved in and although the documentary may not have answered some questions that people wanted to hear, it definitely provoked the discussion in the bar afterwards!